Any kind of "item verification", "trusted friend", etc. is a scam and you should report the person doing it immediately! I will never link you to this page, please verify my identity yourself. 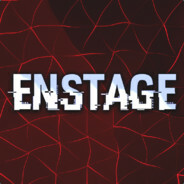 Ensure the "Enstage" you are speaking to: is level 300+, has 450+ games, has 1000+ badges.